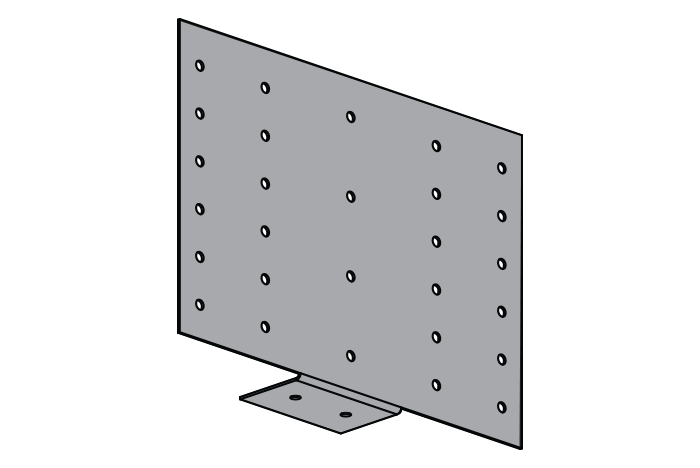 SCAFCO’s secure plate header gusset (HG) is designed to provide a stiffened attachment of two individual members. 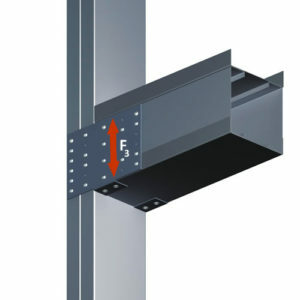 Its unique design transfers the vertical load through a rigid connection that is far superior than traditional methods of construction. The header gusset contributes to the headers web crippling and shear capacity, allowing the header to withstand larger loads and decrease the chance of possible failure from job site connections. 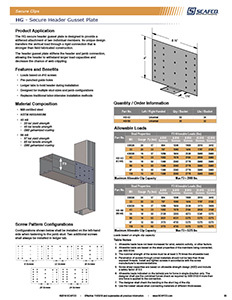 All screw pattern configurations depicted with jamb stud located on left hand side of clip. Screw spacing and edge distance shall not be less than 3 x d (d=nominal screw diameter). Attachment from the clip to the structural to be designed by others. 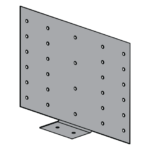 Note: Secure plate “HG” is designed to accommodate all stud widths and flange heights and can be used on either side of the assembly.